Many of you remember Commodore 64 and 128 a legendary computers and we had a chance to see two Commodore companies at the show. 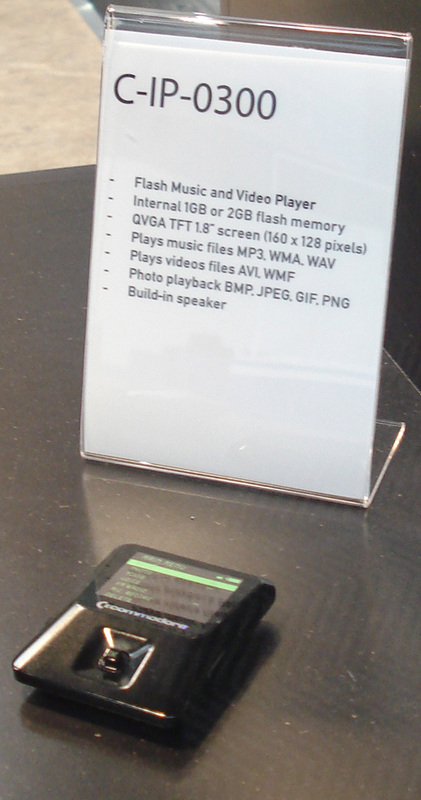 The fist one is called Commodore world and tries to sell the small and nice Video and MP3 player. They have a feature called Commodore world where you can log and share some content and buy some music. 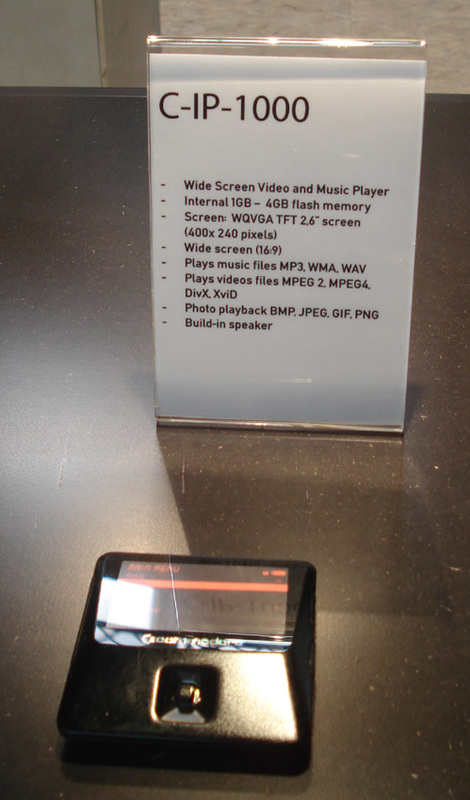 One of the music / flash / video players is called C-IP-0300 and has one or two GB of memory. It supports QVGA TFT screen with 160x128 pixel resolution. This small player plays MP3, WMA and WAV and AVI and WMF. Let's not forget that it can play BMP, JPG, GIF and PNG picture and has a build in speaker. It really looks very close to Zen V Plus but this one is thinner and slightly bigger, but the design is close. 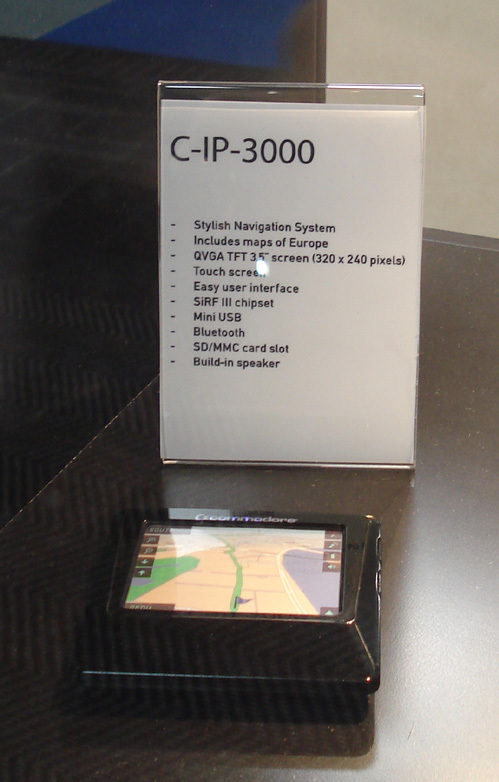 C-IP-1000 supports 1 to 4 GB of storage space, WQVGA resolution with 2.6 inch screen and 400x240 pixel resolution in 16:9. This one plays Videos including MPEG2, MPEG4, Xvid and the most important DivX. It has a built in speakers and supports all the picture and audio formats like the C-IP-0300. The last one is the car navigation with SAR III chip. It is thin and stylish, includes the maps of Europe and has 320x240, 3.5 inch TFT screen. It has touch screen option, easy user interface, Mini USB, Bluetooth SD/ MMC card slot and build in speaker. More about the PC commodore in another part.